At Hair Restoration Institute of Pennsylvania, we offer the very latest advances in hair restoration technology along with clinically proven hair loss treatment solutions for men, women and children, including non-surgical hair replacement, surgical hair restoration and FDA cleared laser hair loss treatment for Alopecia, thinning hair, and balding. 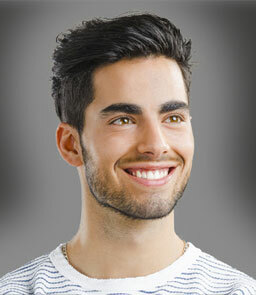 Totally natural looking non-surgical men’s hair solutions for a full head of great looking hair. Comfortable. Undetectable. Lightweight. Elegant natural hair loss solutions for women that beautiful, lightweight and the perfect blend of technological advancement and artistry. The permanent solution for hair loss in men & women. Our experienced surgeons and state-of-the-art hair transplant artistry deliver results. Stop hair loss with FDA cleared low level laser hair therapy. FDA cleared treatment for men & women to stop hair loss and restore your hair. FOR OVER 30 YEARS, Pittsburgh area men and women have trusted Hair Restoration Institute of Pennsylvania for all their hair loss solutions needs. 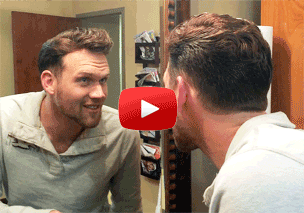 Are You Ready to Say Goodbye to Hair Loss? HRI of Pennsylvania offers you the latest in non-surgical hair replacement systems for both men and women suffering from hair loss, baldness and chemotherapy. At our discreet and exclusive location in Pittsburgh, Pennsylvania you will see that we offer the latest breakthrough technology in non-surgical hair replacement and hair restoration transplants as well as state of the art hair loss treatment and prevention for all hair types. We offer you the latest techniques in totally natural men’s and women’s hair loss solutions. That includes non-surgical hair restoration and replacement, hair loss prevention programs, and laser hair therapy treatments. We have over 30 years experience, and with that experience we have addressed every type of hair loss. Our hair loss professionals on staff will work personally with you to help you find the best hair loss solution for your specific type of hair loss and life style. It is up to you to take the first step to a new you. Schedule your free, private hair loss evaluation today and see how easy it is to be yourself again! There is no obligation whatever. With hair restoration, there are lots of options to consider but only one phone call you need to make. Call (412) 980-4247 to make an appointment and see just how much you have to gain. For over 30 years, men and women have trusted Hair Restoration Institute of Pennsylvania in Pittsburgh for proven hair loss solutions and the latest in proven hair restoration and hair replacement technology for every type of hair loss and hair type. We offer all proven hair restoration and hair loss treatment solutions that really work so you can restore your hair, your confidence, and your life. Find the hair loss solution that’s right for you. Schedule a free, private, no-obligation hair loss evaluation today and get all your hair loss questions answered. HRI of Pennsylvania Hair Loss Restoration and Replacement in Pittsburgh has been in business for over 30 years. We offer the latest natural hair loss solutions, hair replacements, hair transplants restoration, and wigs are available at our convenient Pittsburgh location. Hair replacement Pittsburgh, PA and hair restoration Pittsburgh. Get answers to all your hair loss questions. Private, confidential solutions for men & women.